When I visit schools, I often get asked why I choose to write what I write. Red Moon Rising is a fantasy story set in our everyday world. The main character, Laney Rivers, discovers that she is part of a hidden community of people who possess elemental magic. They live in tribes with powers over water, air, animals, plants and fire. The tribes rarely get on and now there’s something evil trying to trick them into all-out war. Why do you write that? It’s not an easy question to answer! The main character, Laney, came to me quite easily. She’s not very sure of herself, although she pretends that she’s fine as so many girls do. The setting was also easy – the village of Skellmore with its steep Edge to one side and enchanted Hobbin Forest on the other, was drawn from real villages I’ve visited and it grew with the story. The thing I love about fantasy is that you can talk about big issues without having to be too specific to a place and time. In Red Moon Rising, the tribes have their own ways and find it next to impossible to understand each other. Their puzzlement turns to suspicion, and suspicion turns to hatred. Just like in the real world, their community ends up divided and fearful. Why do I write about dark magic? Well, I think we all love the thrill of something a little bit spooky. Red Moon Rising has some scary scenes which readers aged 9-12 and older will enjoy. 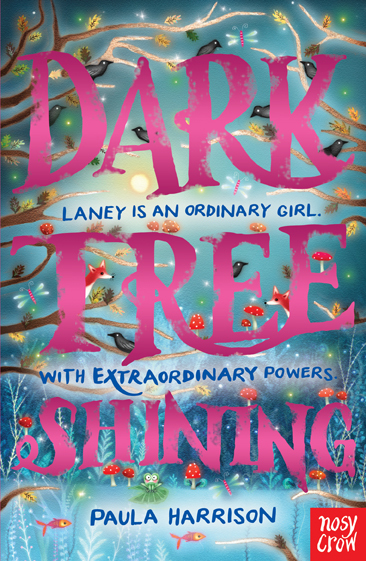 If anything, the sequel Dark Tree Shining is even spookier! Look out for it in October. 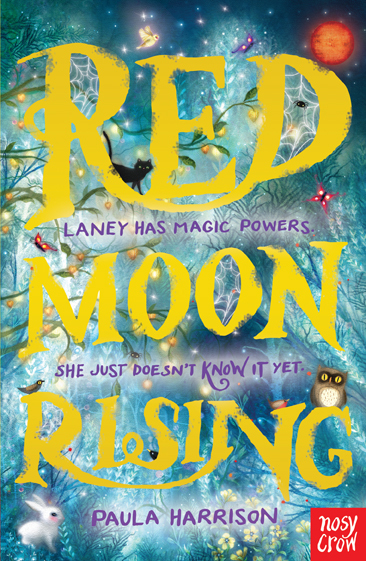 Tags: Dark Magic, Paula Harrison, Red Moon Rising. Bookmark the permalink. Can’t wait to read them! I LOVE writing about magic, mixed with the every day world too Paula! I think it’s important for people to escape in different stories, and dream of powers being real. I do!